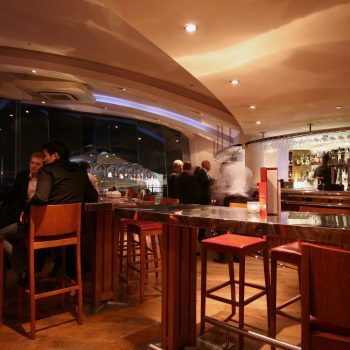 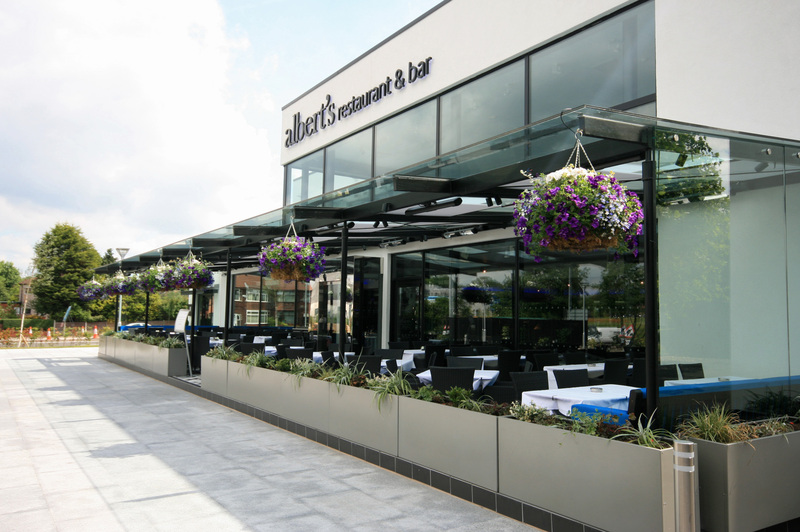 As architects and interior designers, we worked with the owners of the Albert’s Restaurant & Bar chain for their latest venue, Albert’s Restaurant & Bar in Worsley, Manchester, building on the reputation of previous projects at Albert’s Didsbury and Albert’s Shed in Manchester city centre. 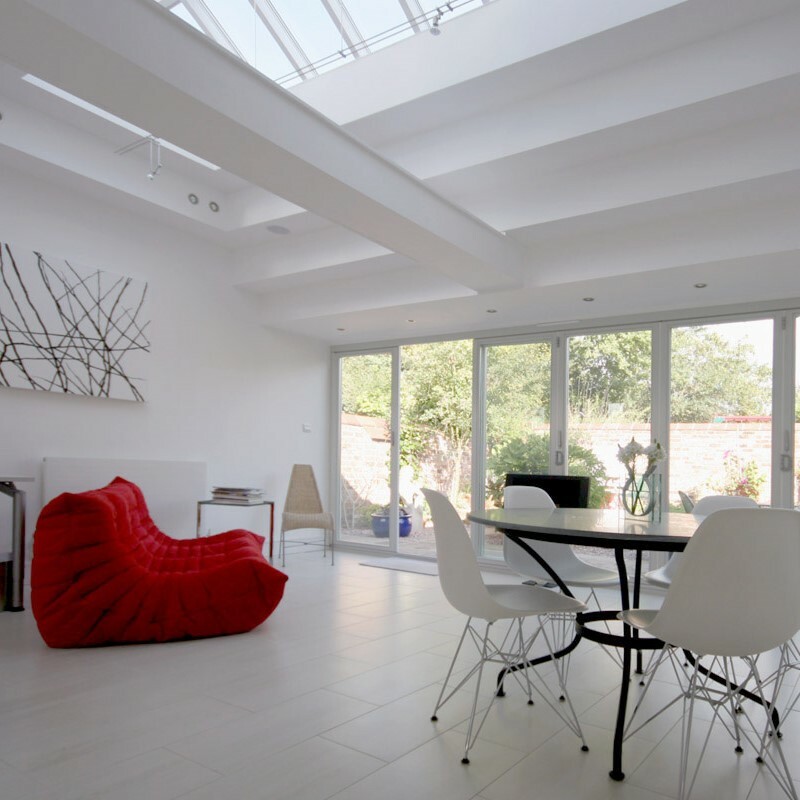 The original building was vacant and disused when the clients bought the site in May 2012 and was in need of a complete and radical facelift. 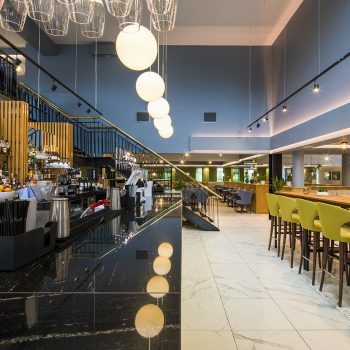 In addition, as part of the wider site development, the Worsley project also saw the rebranding and reworking of the adjacent hotel, and incorporating this into the Hello Hotel chain, also owned by our Client. 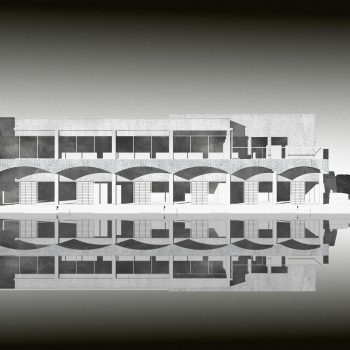 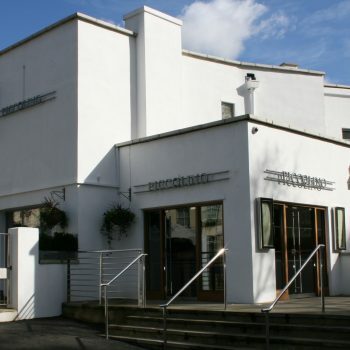 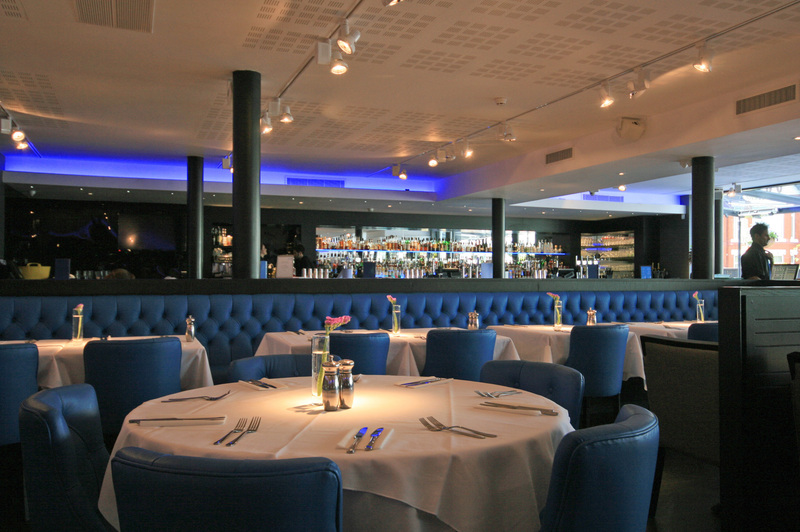 The new two storey venue comprises the restaurant, bar area and private dining room on the ground floor with a function room and associated bar and external terrace on the first floor. 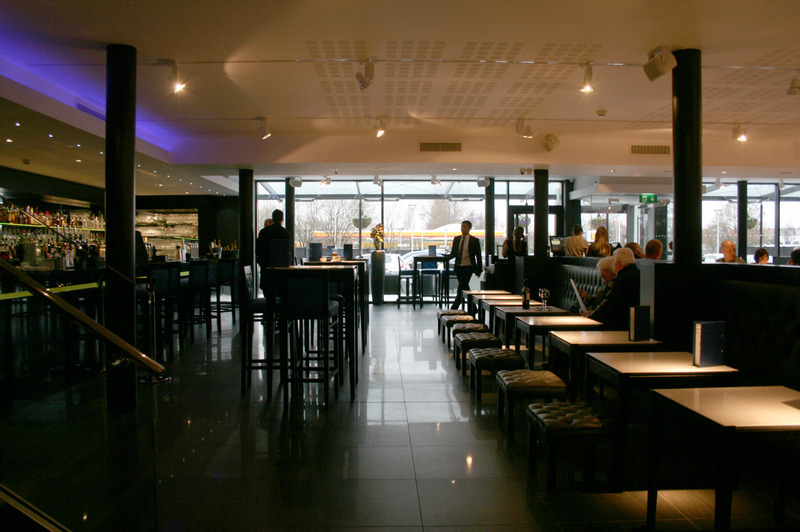 The function room with glass balustrading to the terrace is used for corporate as well as private events and if the bar is not required it can be hidden behind a sliding screen. 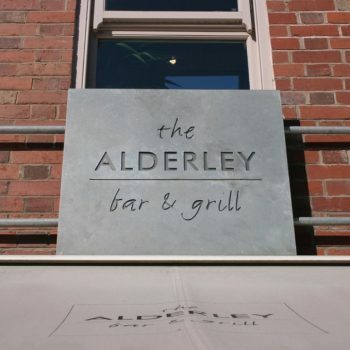 The Client wanted the Worsley restaurant to retain a visual link with the identifiable Albert’s brand. 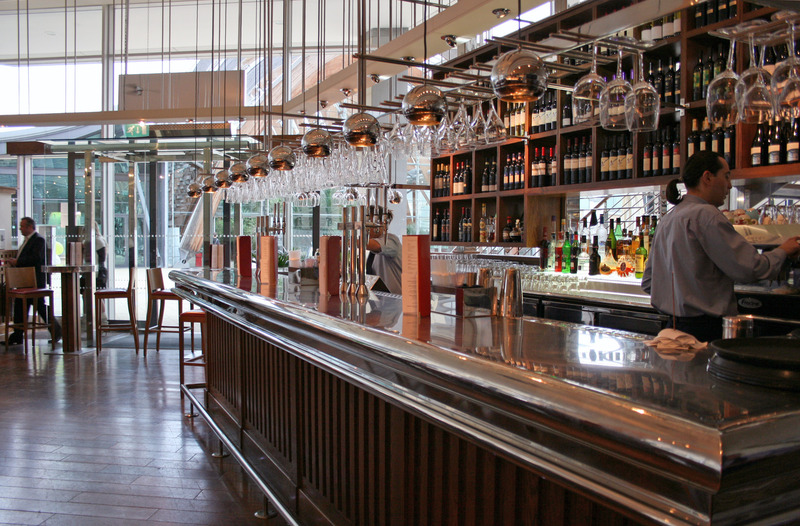 Large expanses of glass and the large, heated, external dining area covered by a frameless glass canopy create a welcoming ambiance, especially at night. 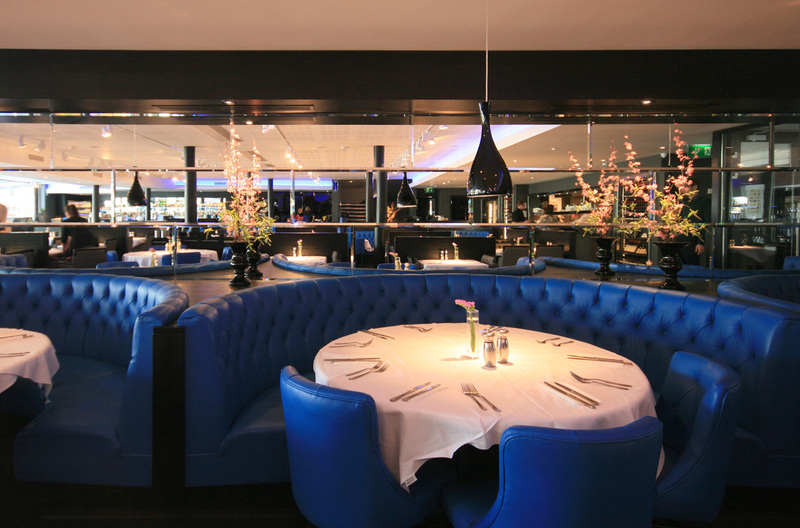 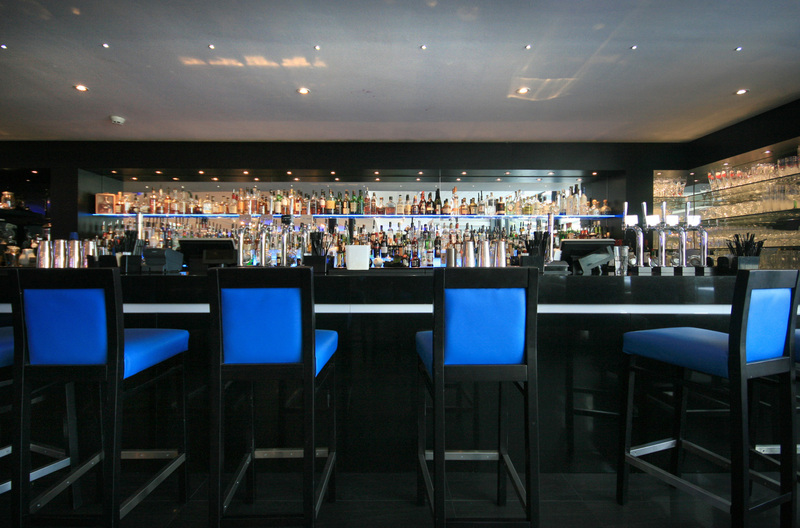 Internally, the fit out features a slab of highly polished black granite which reflects the distinctive blue neon lighting. 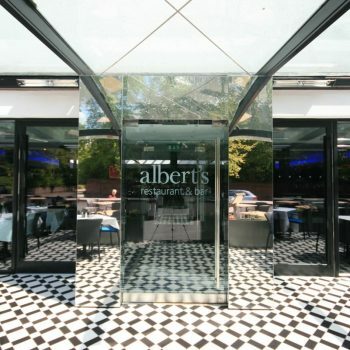 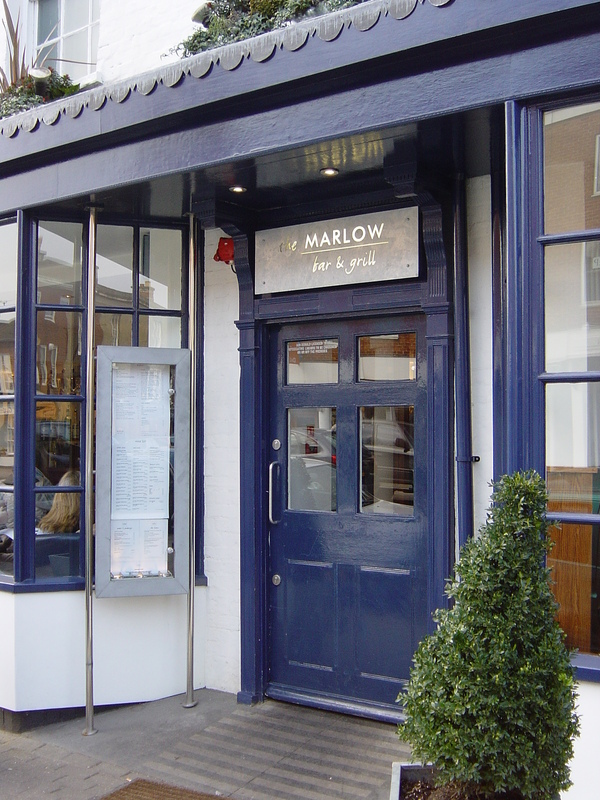 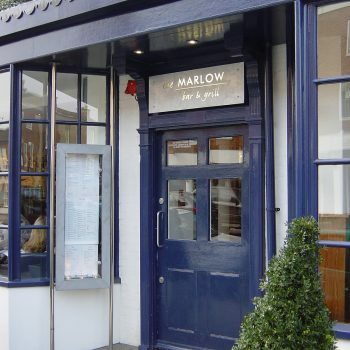 The black porcelain floor tiles, highly reflective black Perspex internal doors, black stained oak fixed furniture and banquette seating have become recognisable features of Albert’s Restaurants. 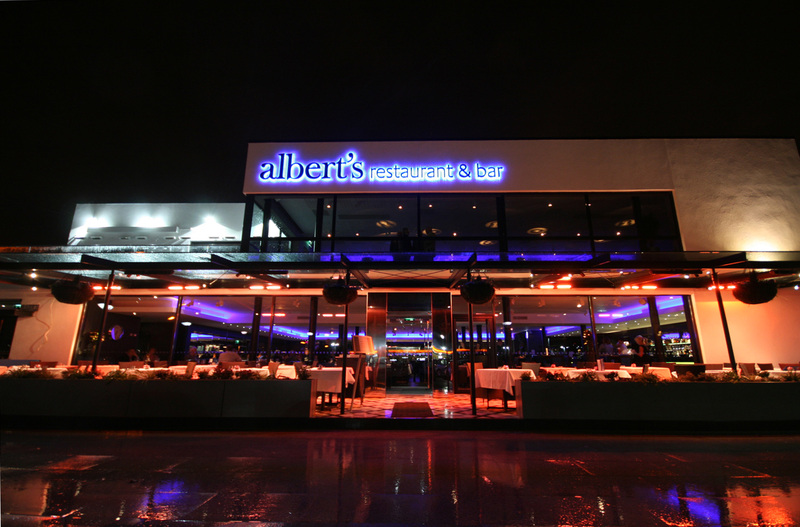 The bar and restaurant opening has proven to be a great success, continuing the popularity of the Albert’s brand and the successful partnership with Fasciato Architects.